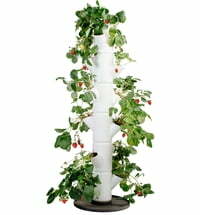 If you've always dreamed of growing your own potatoes, this tower is perfect for you! 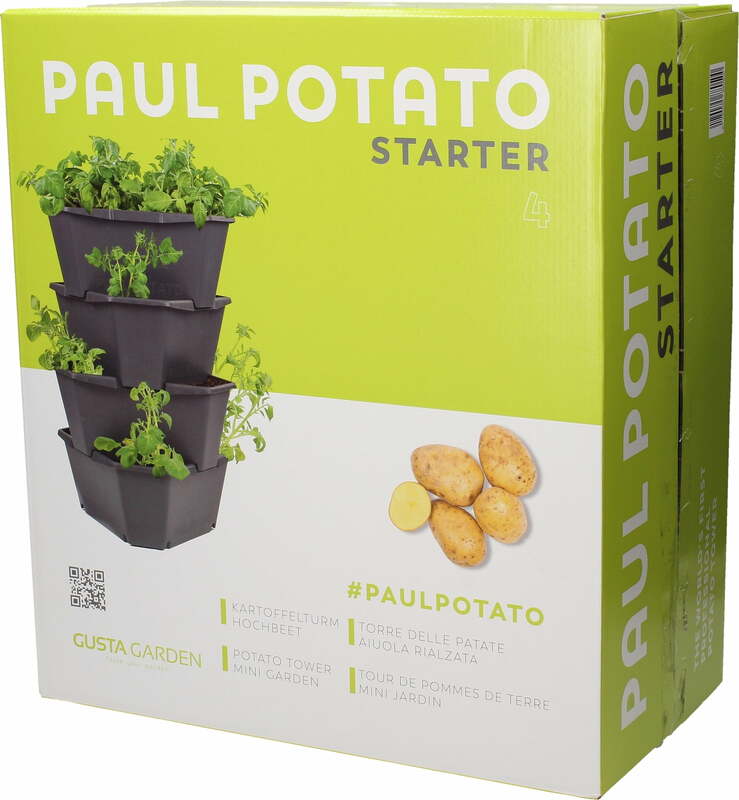 Paul Potato is extremely easy to use and is also the perfect solution for all hobby gardeners who do not have a garden at their disposal. 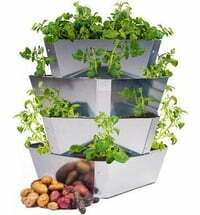 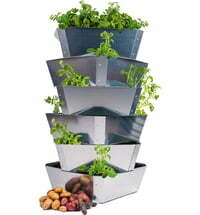 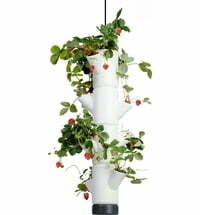 Regardless of whether you want to grow potatoes or have a small vegetable garden, there is space in this planting tower. 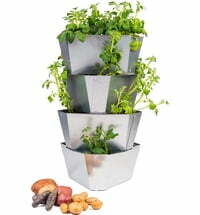 The top level is also perfect for creating a herb garden. 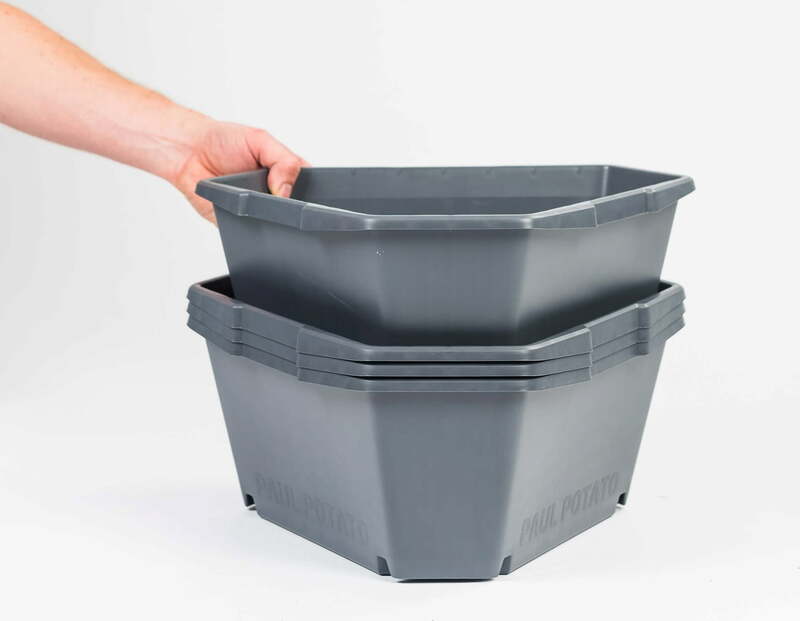 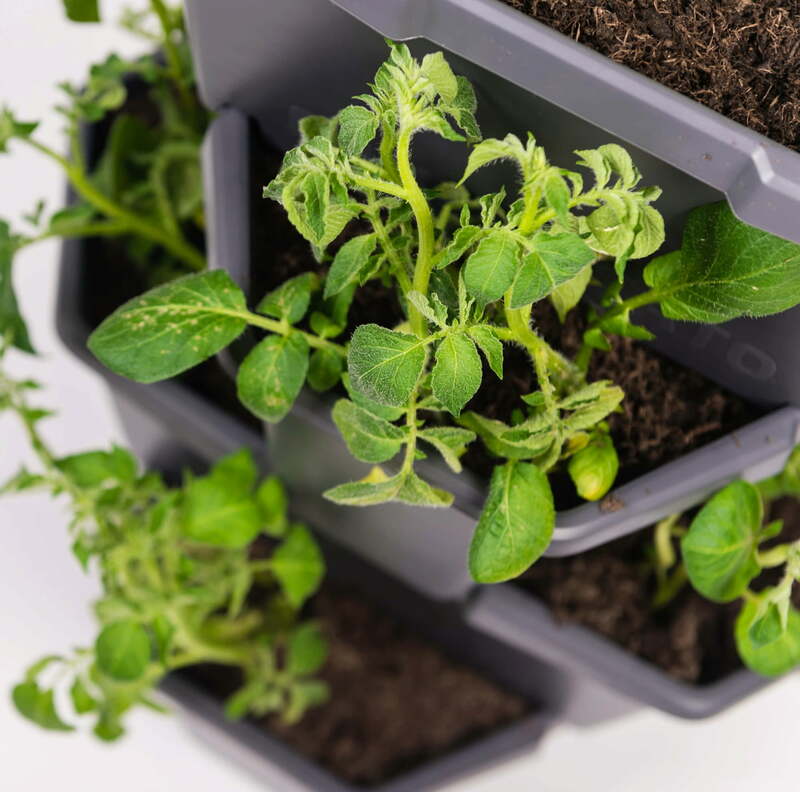 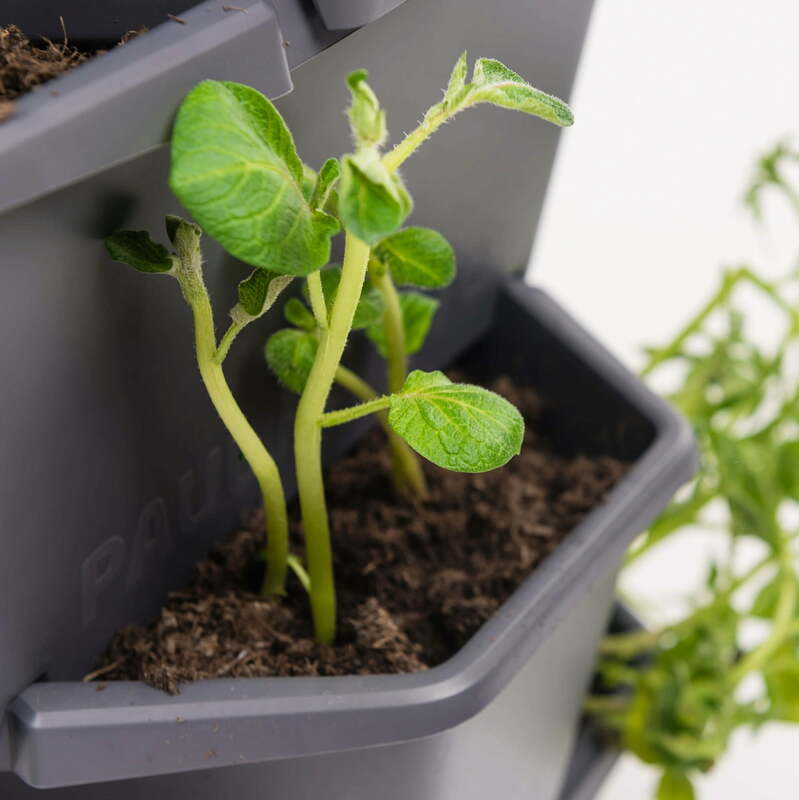 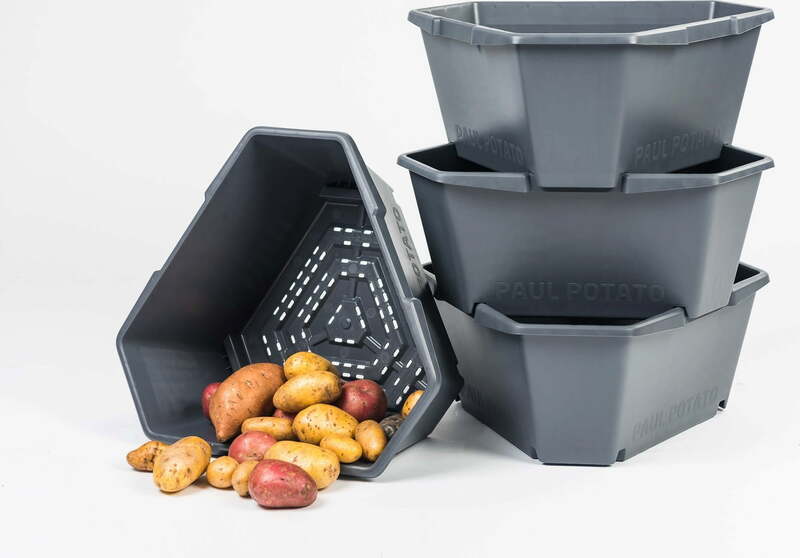 With its space-saving size and compact design, Paul Potato fits perfectly on balconies, terraces and smaller gardens, so you can enjoy a garden even in a small space. 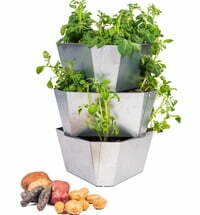 The sophisticated system comes ready-to-plant. 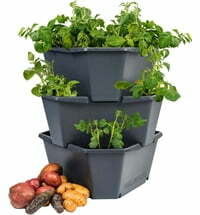 All you need is 56 litres of soil, 12 seed potatoes, water and a little patience.